(Courtesy | Alicia Colvin) Alicia Colvin, of Layton, was the only woman among 12 Republican candidates for the U.S. Senate seat being vacated by the retiring Sen. Orrin Hatch. Alicia Colvin gave one of the more personal and moving speeches at last month’s Utah Republican Convention. She spoke about her car breaking down on the roadside while campaigning and how several strangers stopped to help. It was the essence, she said, of what makes Utah such a great place. The speech drew hearty applause but not nearly enough votes to propel her U.S. Senate candidacy beyond the convention, where some 3,000 delegates winnowed the hopefuls. Colvin, the only woman among 12 Republicans In the race, didn’t make the cut. Instead, delegates sent state Rep. Mike Kennedy (the top vote-getter) into a June 26 primary with Mitt Romney (the No. 2 vote-getter). Colvin’s fate is fairly typical. More than half the Republican women who filed as candidates for state or federal office this year didn’t make it out of convention. A handful withdrew and others, like Colvin, couldn’t muster the delegate votes to move on. 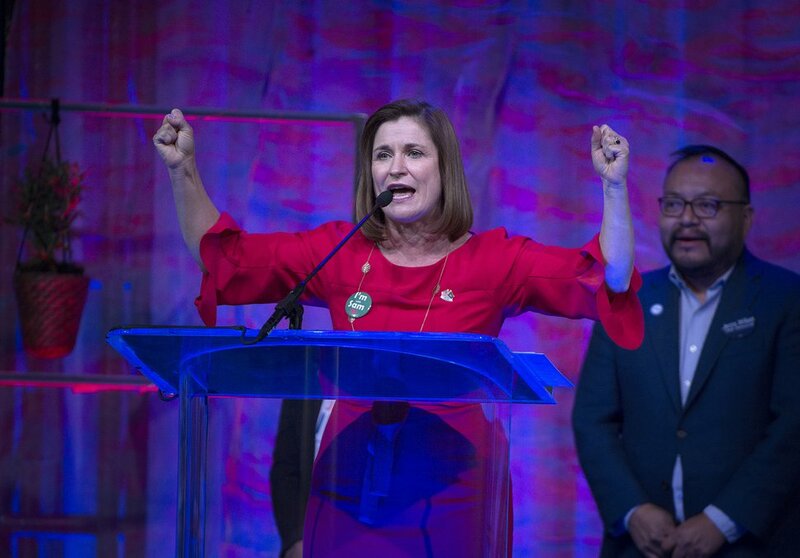 At the other major party’s April Convention, Democratic delegates elected Jenny Wilson as their U.S. Senate nominee over three lesser-known male hopefuls. (Scott Sommerdorf | The Salt Lake Tribune) Senate candidate Jenny Wilson speaks at the Democratic convention, Saturday, April 28, 2018. This outcome, too, was typical. Some 84 percent of the Democratic women who filed to run for office this year survived their party conventions, most of them as nominees and a handful as primary election candidates. In both major parties — and even in third parties — the number of women jumping into the fray was up this year. Ninety-one women filed as candidates for state and federal office this year, up 50 percent from the last general election (not counting presidential candidates). Democrats fielded 49 female hopefuls, up from 36 two years ago. Twenty-nine Republican women participated, compared with 22 last year. 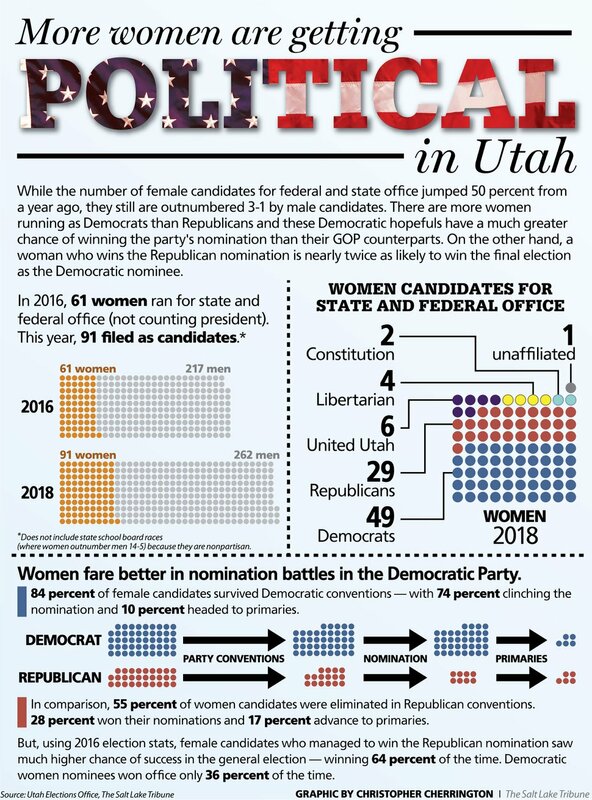 The United Utah Party, which didn’t exist in 2016, saw six women step up; Libertarians doubled their number of female candidates, from two to four; and the Constitution Party went from one to two. Off-year elections also offered signs of change. 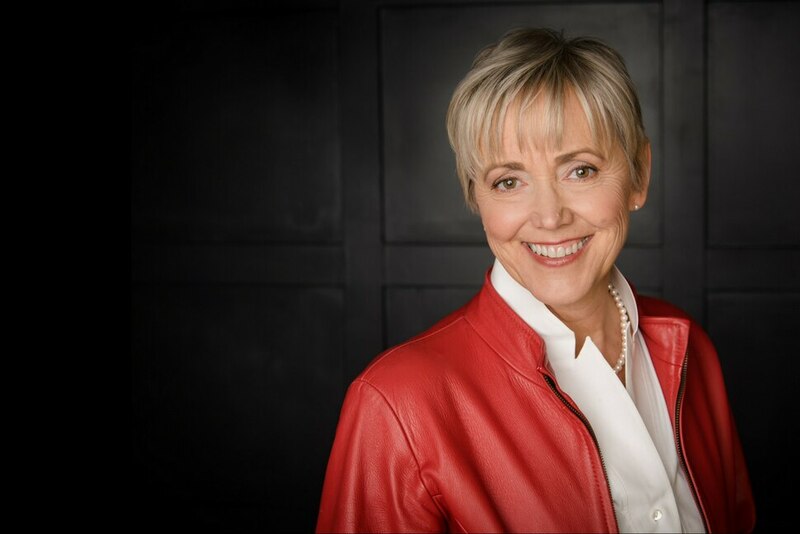 Last year, five Utah cities made history by electing their first female mayors. Real Women Run is a nonpartisan group that provides mentorship and training on the nuts and bolts of running a campaign. Interest and attendance have spiked recently. “Immediately following the 2016 election, we had a big jump,” Erin Jemison, the YWCA staff lead for Real Women Run, said. Jenny Wilson, in her second term on the Salt Lake County Council, was primed for action by the election of Donald Trump. “I woke up like a lot of people after the last election concerned about who was being elected president,” she said. “A few months later, I didn’t feel any better. I felt worse. Colvin, whose first bid for elected office was cut short at convention, had long been politically engaged on cherished causes. A backer of the Count My Vote and medical marijuana initiatives (she said at convention she had been converted to the caucus-convention system), she also had attended rallies and called her elected representatives on issues. A similar path brought Democrat Jessica Foard to declare her candidacy in the crowded race for a vacant state Senate seat in Salt Lake City’s Avenues neighborhood. Foard was eliminated at the Salt Lake County Democratic Convention along with Nadia Mahallati, a lawyer and doctoral candidate who is writing her dissertation on how to persuade state lawmakers to back pro-women legislation. One woman in that state Senate District 2 race did make it through the convention. Jennifer Plumb, a physician and crusader against opioid abuse and overdose — as well as a single mother — advanced to a June 26 primary with Salt Lake City Councilman Derek Kitchen. 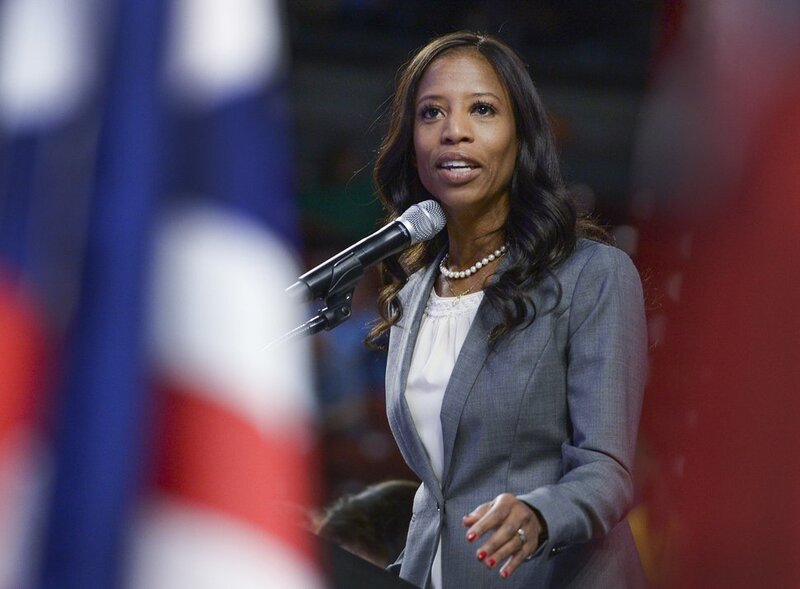 (Leah Hogsten | The Salt Lake Tribune) Mia Love, representative for Utah's 4th Congressional District, addresses the delegates at the Utah Republican Nominating Convention Saturday, April 21, 2018, at the Maverik Center. Love first got into politics at the city level to solve neighborhood problems and said her fundamental motivations have remained constant in her ascension to Congress as the first black female member who is Republican. Love faces what is expected to be the most competitive congressional race in Utah, with a challenge from Democratic Salt Lake County Mayor Ben McAdams. 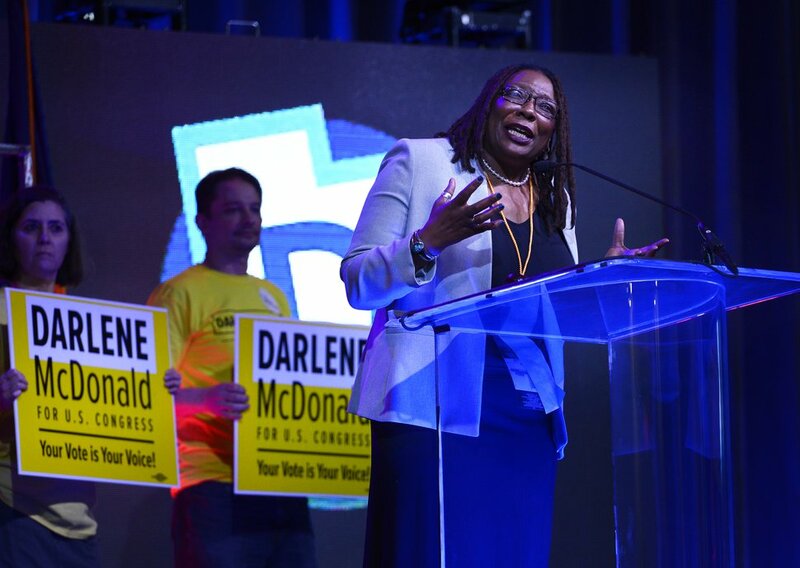 Darlene McDonald was among the four Democratic contenders for the contest knocked out in convention. (Scott Sommerdorf | The Salt Lake Tribune) Candidate Darlene McDonald speaks at the Democratic convention, Saturday, April 28, 2018. Her reasons for running were personal. Her son Marcus died in 1994 of a congenital heart ailment, but he was able to enjoy a good quality of life because of adaptive equipment that would be impossible to afford without health insurance. Last year’s U.S. House vote to repeal and modify parts of the Affordable Care Act hit McDonald hard. In another congressional race — the 2nd District — Shireen Ghorbani is the Democratic nominee. A 15-year advocate for sexual assault victims and prevention, Ghorbani pointed to a 75 percent increase in Salt Lake County requests for services after attacks during the past year. 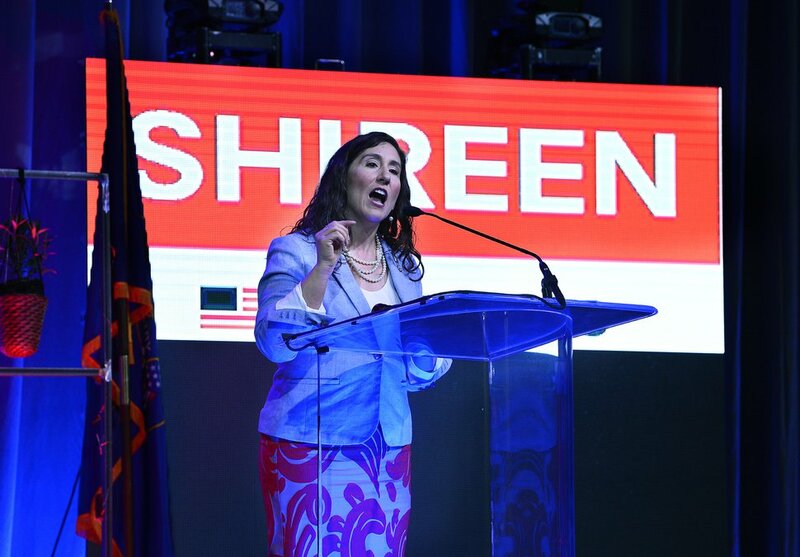 (Scott Sommerdorf | The Salt Lake Tribune) Shireen Ghorbani, a candidate in Congressional District 2, speaks at the Democratic convention, Saturday, April 28, 2018. She has been critical of current Republican Rep. Chris Stewart, saying he has been sitting on the sidelines on the issue and noting his vote in 2013 not to authorize the Violence Against Women Act. But Ghorbani has a tough road in the heavily Republican district, which lumps the Democratic stronghold of Salt Lake City with vast swaths of solid GOP territory from Farmington to St. George. Also in the race is Jan Garbett, a former Republican who ran for lieutenant governor in 2016 as a Democrat. Garbett this year is the United Utah Party nominee. 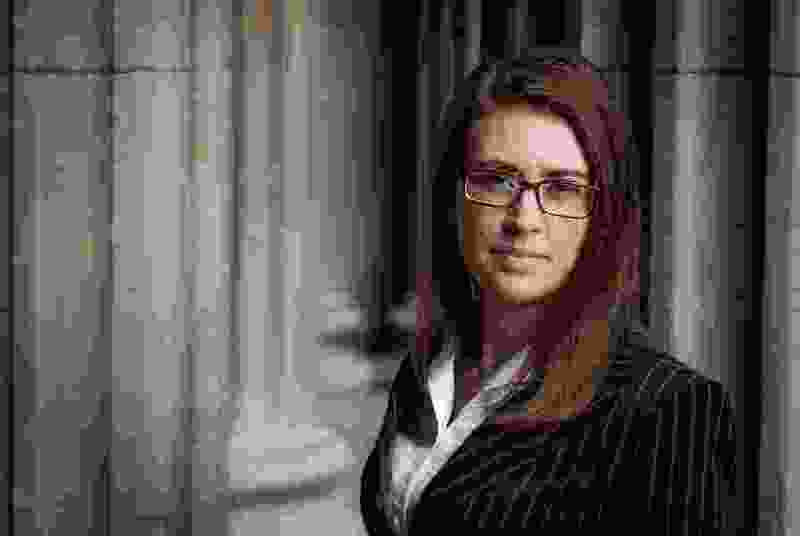 Garbett is one of six female nominees from the new party formed by disillusioned Republicans and Democrats who want to promote middle-of-the-road politics. Colvin said she was quizzed during her campaign on topics never broached among the 11 Republican men running for the seat of retiring U.S. Sen. Orrin Hatch. She was asked if she wouldn’t rather stay home with her daughter than campaign or, if she won, serve in the Senate. She was questioned countless times about whether her husband supported her. And, once, “I was asked on a date, despite being clearly married,” Colvin said. The man propositioning her told her she represented everything he disagreed with, but that she was the “prettiest” candidate. Mahallati said she had to transition from being a candidate’s spouse to running her own campaign (her ex-husband ran for lieutenant governor two years ago). One thing she encountered on the campaign was having people ask if she was old enough to run. Wilson, who before she was elected to the County Council ran for Salt Lake City mayor in 2007, said her family became an issue in that earlier race. Ghorbani said she has sometimes wondered if she receives gendered feedback, with some people advising her to cut her hair and wear more suits — though she said others have thanked her for running as a regular working person. 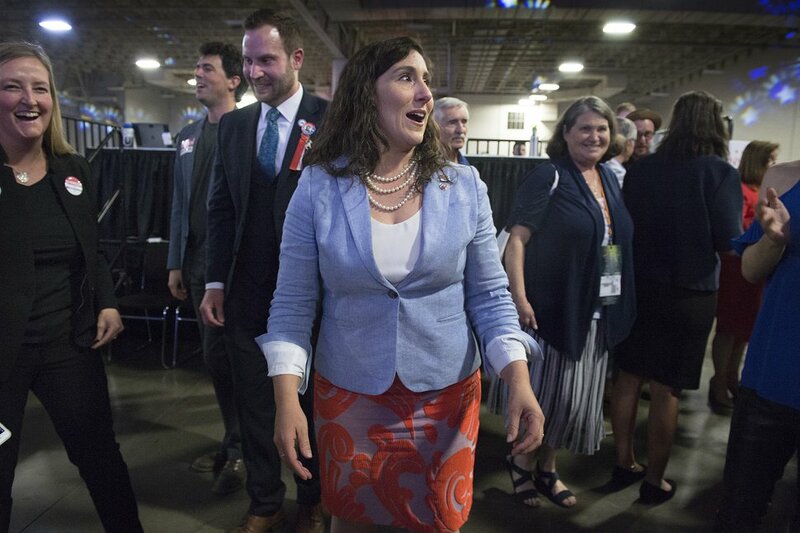 (Scott Sommerdorf | The Salt Lake Tribune) Shireen Ghorbani reacts to her Congressional District 2 win at the Democratic convention, Saturday, April 28, 2018. Kris Udy, a lending manager at a northern Utah mortgage company, a longtime Republican activist and an outspoken conservative, said she felt rather than heard the bias in her campaign for state House District 1. (photo courtesy Chris Federer) Kris Udy at her ranch 10 miles from the landfill site on the only public road leading to Promontory Landfill. Udy was knocked out in convention. The only remaining woman in the race is Conservative Party hopeful Sherry Phipps of Brigham City. One of the big reasons more women don’t run for office, according to a Politico analysis, is that they are not as likely to receive encouragement to run — not only from party leaders or officeholders but also from family members and colleagues. Colvin said it was hard to find support when she decided to run for office. “It was actually a really hard sell with a lot of people in my life … and it still is,” she said before the April 21 state Republican convention. More recently, she said that despite her convention defeat, the experience and knowledge she gained were worth all the hard work. Foard, the Democrat who had been running for a state Senate seat, had a different experience. She was approached about running by two lawmakers, Sen. Daniel Thatcher and Rep. Steve Eliason, both Republicans, working on suicide prevention with her as board member of a nonprofit dedicated to the issue. McDonald also received spousal support. And Garbett, who said she was asked to run, found nothing but encouragement from her family. In fact, she said, her grandchildren inspired her to move forward. Kristin DeLeeuw is a 17-year-old senior at Manti High School who plans to study neurobiology at the University of Iowa in the fall. But, first, she will fulfill her duties this summer at Utah Girls State, a youth program sponsored by the American Legion Auxiliary that aims to help young women learn about government and get a taste of civic engagement. DeLeeuw attended Girls State last summer planning to run for one of the midlevel offices. But the night before the elections, a friend came to her and encouraged her to shoot higher — to run for governor. To her great surprise, she won. DeLeeuw, currently a member of the Manti City Youth Council, said the experience had a profound impact on her outlook on politics.